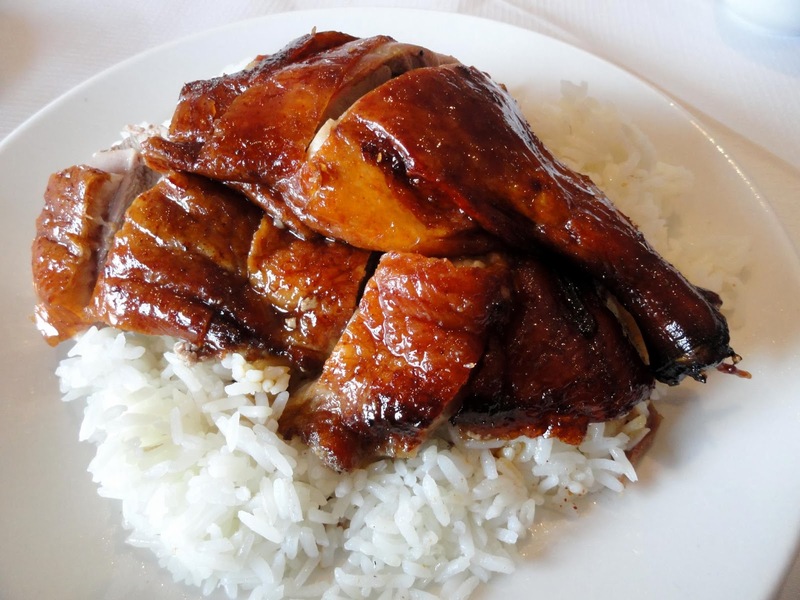 The most famous dish in restaurant is Crispy roast duck traditionally served with pancakes, and spring onions together with hoisin dipping sauce. My favourite way, as an appetizer, mouth watering to serve them with rice or noodles and dipping sauces. Add some Salt to enhances the flavor. 1) Wash the ducks inside and out with cold water, drain and pat dry with kitchen paper. 3 tbsp Hoisin Sauce, Dried Angelica, Ginger slices, Bay leaves, Anise stars,Dried Mandarin Peel, 1 tbsp Ginger ground, 1 tbsp Cinnamon ground, 1 tbsp Chinese five spice or Mixed spice, 1 tbsp Garlic powder, 2 tbsp Dark or Light soy sauce. 3) Use a spoon to spread the mixtures over the inside of the duck, then close the cavities with wooden skewers, or sew the duck securely and set aside. 4) In a large pot and add water, bring to a boil about 15 minutes. 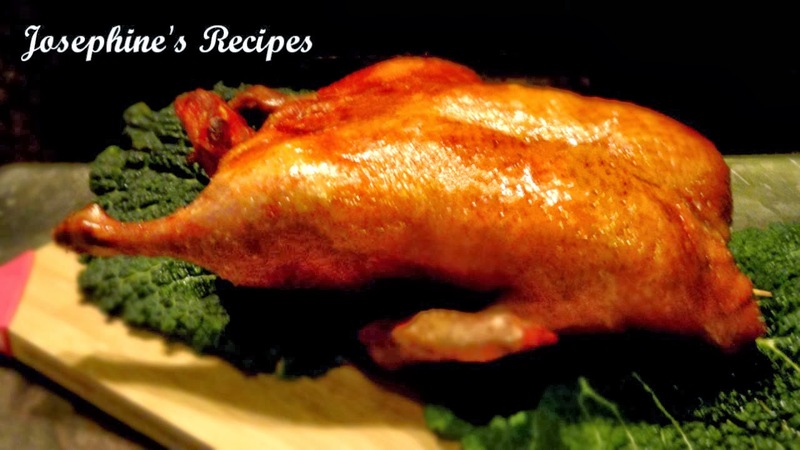 5) Air dry the whole duck openly and or you can uncovered to place in the fridge for overnight or more than 24 hours. or until the skin is crisp, and golden brown. (Before moving into a new house. I used conventional oven doesn't heat up at all. So I have to set oven at 230°C temperature. Now I used Beko Built-in Oven, Keep the oven rack adjusted to the lower position. upside down. Bake at 200°C for 20 minutes then decrease to 150°C for another 25 minutes). Combine all ingredients in a small bowl and you desire to adjust yourself. It costs about £9.50, very expensive! so I highly recommend you guys learning my version of how to make crispy roast duck instructional video in below. 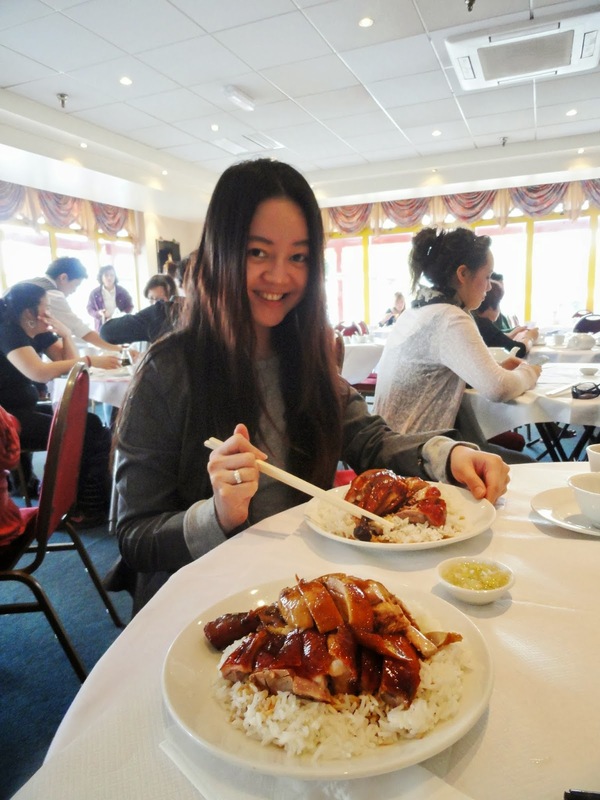 Nope, Definately not the best roast duck I've ever had. The skin wasn't crisp enough.